Rosary Derrinturn Church: The Rosary is recited after Mass every Tuesday to Saturday. If anybody would like the Rosary offered up for somebody who is sick or undergoing an operation or for any special intention. Please put the intention in the basket left on the altar. Please leave your request in the basket. 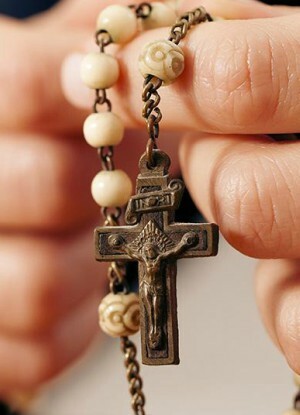 If you wish the Rosary to be said on a specific day, please leave your request with the sacristans in the sacristy.